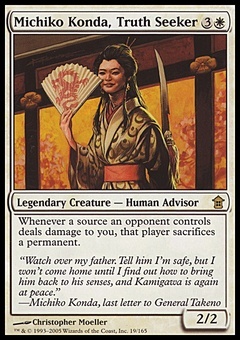 Kodama's Reach ($1.64) Price History from major stores - Champions of Kamigawa - MTGPrice.com Values for Ebay, Amazon and hobby stores! 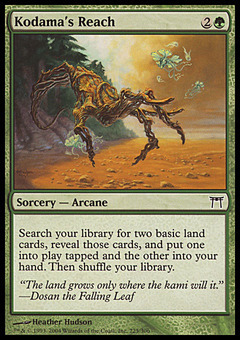 Card Text: Search your library for two basic land cards, reveal those cards, and put one onto the battlefield tapped and the other into your hand. Then shuffle your library.